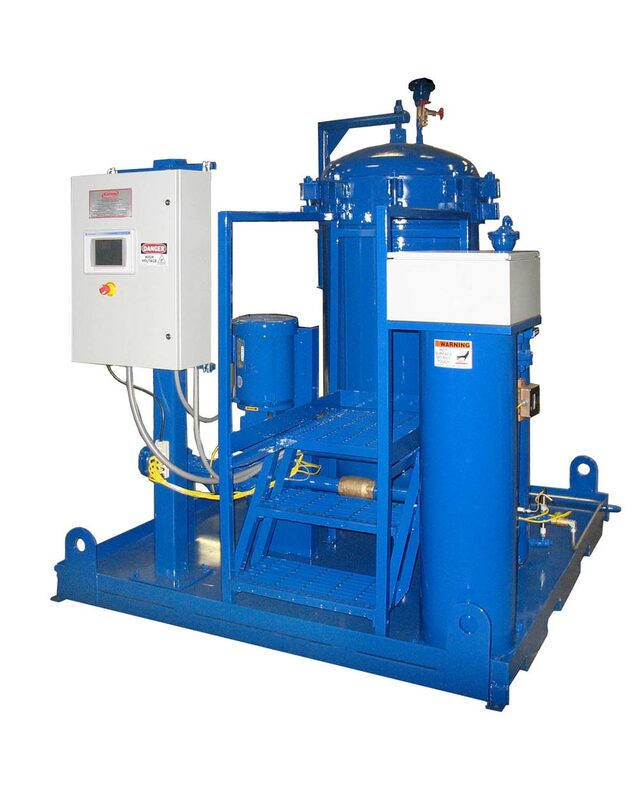 Kaydon Oil Filtration and Purification - pdblowers, Inc.
Kaydon Filtration coalescers can reduce a 5,000 parts per million (ppm) concentration of water to 5ppm during a single pass with many fluids. 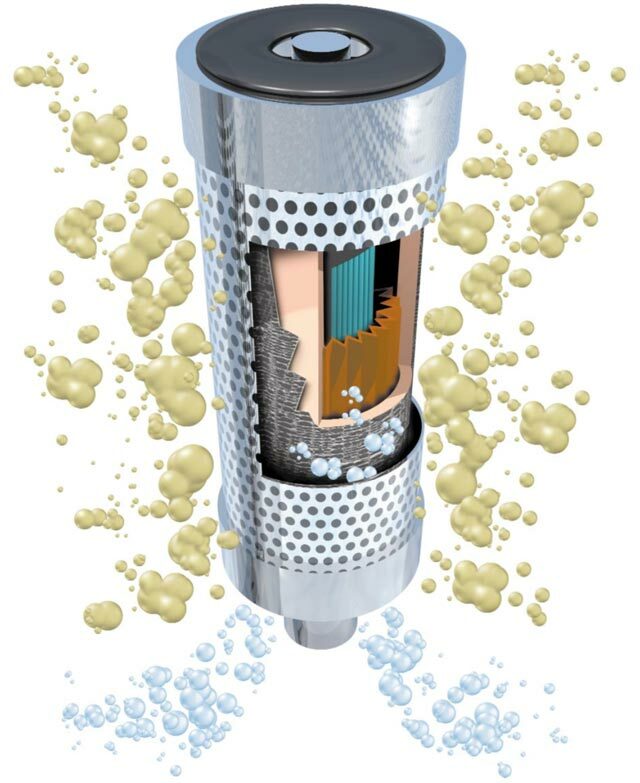 In the illustration you can see the superior Kaydon Filtration coalescer at work. The fuel, contaminated with water, flows from the inside out. 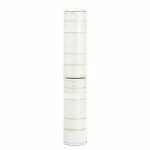 As the fuel and water pass through the special Kaydon Filtration coalescer media, the small water droplets coalesce – forming larger water droplets, leaving water at the bottom, while clean fuel flows out the top. Kaydon Filtration’s Turbo-TOC® KL Turbine Oil Conditioning Systems continue redefining the world of turbine oil conditioning. As the world’s first proven turbine oil coalescing system, optimized specifically for turbine applications, Kaydon persists in providing turbine operational sustainability through turbine oil conditioning expertise. Designed to maximize the returns from your turbine equipment investments while strengthening your bottom line, Turbo-TOC® KL turbine oil conditioning systems quickly and efficiently remove harmful water and particulates from turbine lubrication oils. Scaled to address the specific needs of large, medium, and small turbines, Turbo-TOC® KL turbine oil conditioning systems are applicable for use for conditioning turbine oil in main turbine lube oil reservoirs, boiler feed pump turbine lube oil reservoirs, and other turbine driven equipment lube oil reservoirs, ranging from 25 gallons (95 liters) to 12,000 gallons (45,450 liters). Originally designed for the military, Kaydon’s fuel coalescers and separators feature a multi-layered media configuration to capture particulate and remove harmful water from diesel and jet fuel. 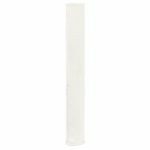 They do this in a single space-saving envelope with a “nesting” design, whereby the coalescer is nested within the separator. 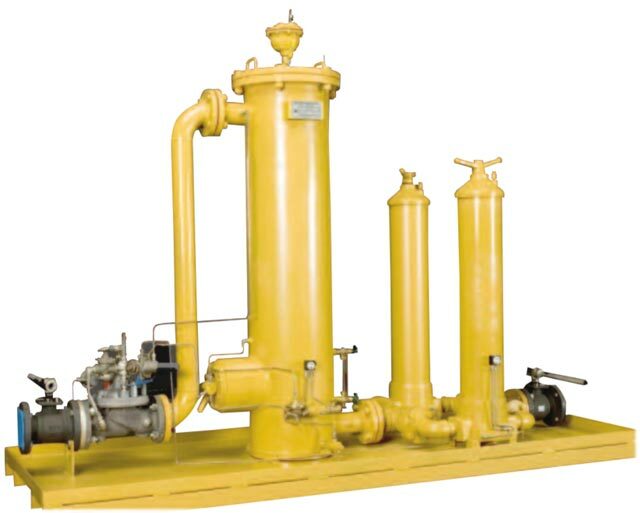 This allows for maximum flow rates to be handled with minimum vessel size and weight. Kaydon’s new line of fuel conditioners (the KFC and KFF Fuel Filtration Systems) represent over 100 years of application expertise in keeping fuels clean and dry and in optimal condition for use. They contain Kaydon’s military-proven coalescing/separating technology designed specifically for diesel and jet fuel applications. 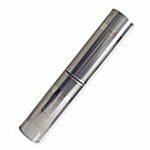 Available in a range of flow rates they contain features suited to worry-free automatic operation. With water removal to 50 ppm Total Water and particulate removal available as fine as Beta 3.2 (c) = 1000 per ISO 16889 they assure that your fuel is clean and dry. 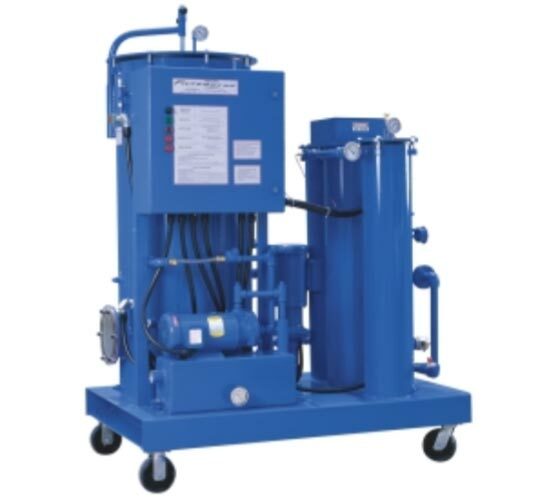 The KFF diesel fuel filtration systems are skid mounted systems with a pump/motor assembly, and utilize a prefilter (Model VKS-1), and a Model 851E-3-M.
Model shown is 858-1200-805 with inlet and outlet filters for removing 99.5% of all particulates as small as 3 microns. The vacuum distillation process is capable of removing water at over 15 gallons per hour. Oil can be dried to less than 70ppm in 7-10 passes. 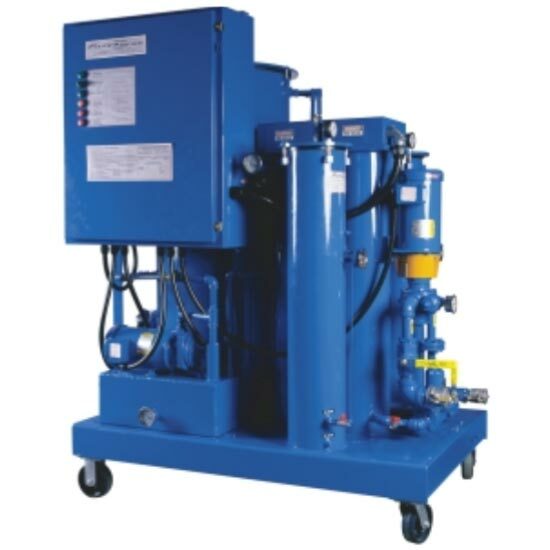 The 858-1200-805 Smart-Vac removes water & solid contaminate from large oil reservoirs. Model shown is 858-600-804 with inlet and outlet filters for removing 99.5% of all particulates as small as 3 microns. The vacuum distillation process is capable of removing water at over 6 gallons per hour. Oil can be dried to less than 70ppm in 7-10 passes. The 900-914 is a custom-engineered sumping system, using Kaydon’s coalescing technology, for the refinery and fuel distribution markets. Water is drained automatically while fuel is separated from the water and returned to the storage tank. 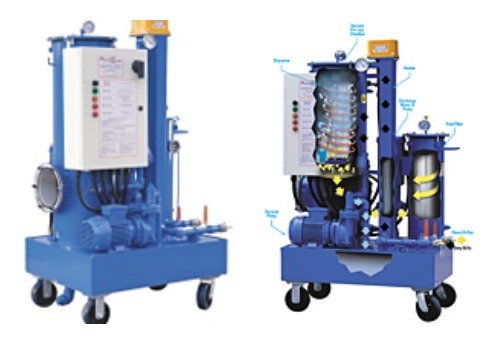 Each system can drastically reduce operator interface and error from the sumping process, eliminating the potential for fuel spills, thus saving wasted fuel and reducing demand on the fuel recovery system. In the process, the operator is freed from manual sumping and can focus on more more-important, value-driven duties. The 900-914 is suitable to any environment, including colder climates when equipped with a “freeze protection” option. 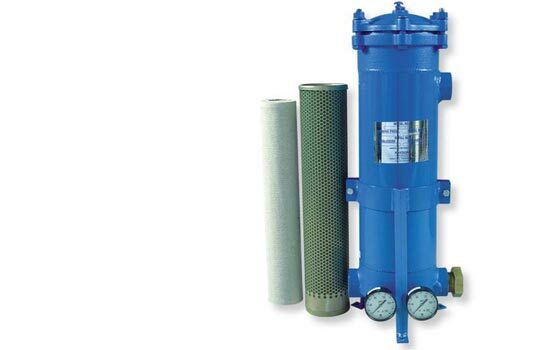 Note: For Air operated version customer must have to supply air operated pump.